"Mom! Look! There's tracks heading out to the woods"
They had just finished checking their traps. 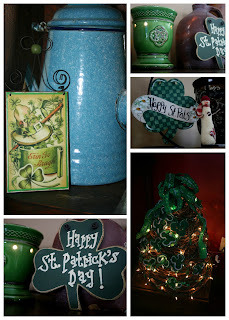 No leprechauns this year - but he was here. Oh, he was here. The boys had handfuls of gold (chocolate) to prove it. They were convinced he was hiding in the wood pile but after close examination realized he was gone. They were standing at the patio door wistfully staring at the yard when Keaton noticed the tracks. Collin and I have seen them before, they come from the tree line right up to the back of the house - it looks as if they enter through the wood room door before turning around and heading back out to the woods. It was perfect timing that the boys would first see them yesterday. We're pretty sure they are of the Peter Rabbit variety, but to the boys there was no doubt, they were leprechaun tracks. As for that leprechaun, well, next year. 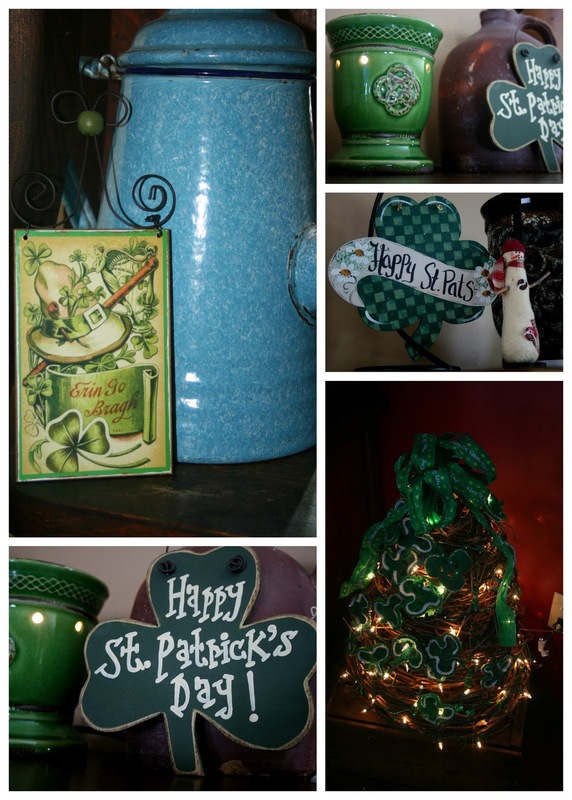 Hope you all had a Happy St. Patrick's Day! 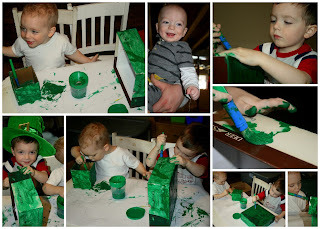 Catching a Leprechaun, such a cute idea! 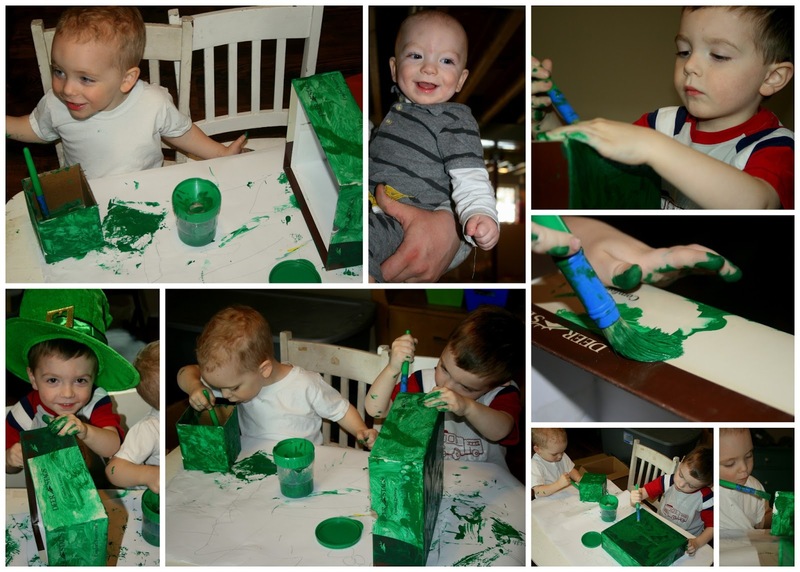 I love all the green decor, activities and the boys look adorable. We ended the day with a Shammy Shake too! 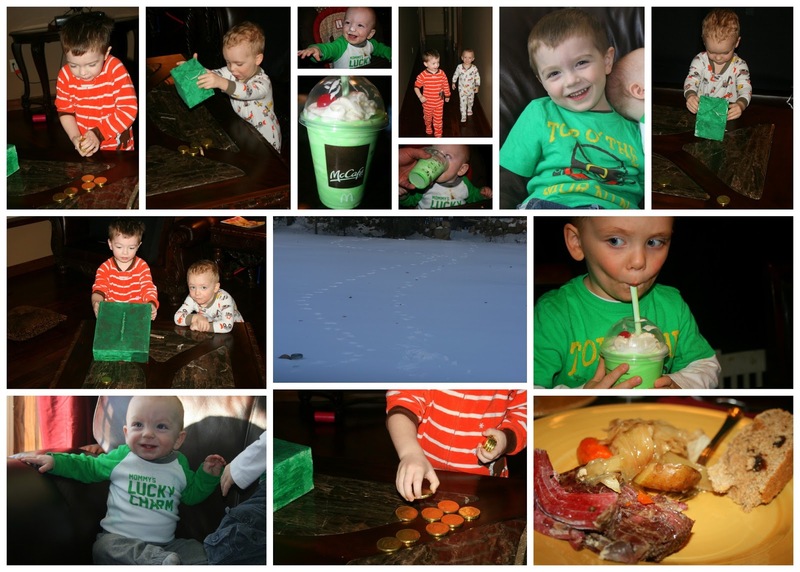 The leprechaun left a shamrock light-up pen and a bear claw back scratcher here! The pen is a trick pen...sometimes it writes, sometimes not-so-much. 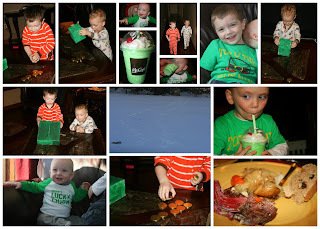 :) He loves the prizes anyway, since they were left by the leprechaun. Glad you all had fun with the holiday!